As part of cutting costs across the world to clean up the dieselgate mess, German maker Volkswagen has warned its factory workers in India of potential job losses. "This is the time for survival of the fittest," the management of its Indian subsidiary told employees in a letter earlier this month. "If targets aren't met, the company may have to do away with extra workforce at the Chakan, Pune, plant," it said. This may also affect all its future investments in India. The letter, that ET has seen,was signed by India Managing Director Andreas Lauermann and Executive Director-HR Patrick Masson. Responding to ET's queries, Lauermann said the company is affected by the global crisis. "In this light, we have to act efficiently and use every resource wisely," he said in an email. He, however, downplayed the risk of job cuts, saying the plant recently added a third shift and as an employer it is the organisation's duty to ensure that the jobs are safeguarded, even in difficult times. Volkswagen has agreed to repurchase or fix about half a million vehicles in the US in an effort to tide over the scandal over using secret software to cheat exhaust emission tests. This cleanup act is estimated by some to cost as much as $10 billion. Cutting cost is one way to raise resources. The troubles may spill over to India as the management told employees to brace up for the challenge as the Indian plant is "not in a strong position lace, either". The Chakan factory employs more than 4,000 people. The India unit exports more than 50,000 units a year to Mexico, a market where it recently lost out on 2,900 units to Volkswagen's Kaluga plant in Russia. With local sales remaining weak, the Chakan factory is surviving primarily on exports. Any dent to its numbers in a key export market like Mexico, even from another Volkswagen plant in a different country, will be a huge risk to the India manufacturing operations. "It could eventually force us to come down from three shift operation to two and, in worst case, to a single shift operation. Needless to say, this will directly have an effect on our jobs here at the Pune plant, since a single shift production will require considerably lesser workforce," it said. "This situation will withhold all our future investments and may also endanger the launch of our new compact sedan that is scheduled in the second half of 2016." Apart from looking at improving efficiency year on year, the company is accelerating localisation. It has also been sending out a tough message to component suppliers. "If the schedules are not met and if it impacts the production, the vendor will be held accountable with a penalty, which can range in several hundred euros said one of the people in the know. While the dieselgate did hurt the brand globally, the Chakan plant has been ramping up production thanks to export demand and the upcoming compact sedan, Ameo. Volkswagen added a \third shift to its operation and hired 800 more people. On March 29, the company crossed a critical milestone of 500 cars per day at the India factory. "There is already cut-throat competition in the automotive world and then there is some more across company's different plants within VW world to grab every opportunity and to get more production volumes and utilise the respective production capacity in a better way," the letter said. "But the domestic operation will continue to struggle due to lack of any new volumes product. 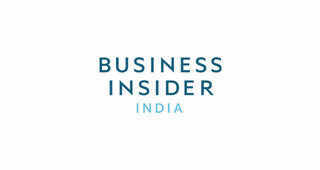 I fear that VW India will go the GM way and may become a niche player," he said. 9This Indian company is setting some serious HR goals for others to follow!